Are you familiar with beacon sounder combinations? What are Beacon Sounder Combinations and How Do They Work? Beacon sounder combinations are warning devices that have a dual function. As a matter of fact, they are using an audible sounder in order to figure audio visual alarms as well as a beacon lamp. A beacon is a type of device that is specifically designed to draw or attract attention to certain locations. In fact, they are considered as a safety solution for construction industries. Beacon sounder combinations, on the other hand, come with various tones integrating industry-standard frequency, high frequencies, and low frequencies pattern. These devices have diverse coloured LEDs that offer an improved warning signal. In addition to that, the beacon sounder combinations have a wide variety of options available for both indoor and outdoor applications, as well as being equipped with volume control features. What Are Beacon Sounder Combinations Used For? In addition, beacon sounder combinations can be utilised for communication, such as by the rotational colour or pattern of beacons and the status of airports. On the other hand, these warning devices can also be advantageous in noisy environments such as factories or warehouses. This beacon sounder combination is IP65 rated and comes with 64 tones electronic sounder that has an internal volume control. This product, on the other hand, features a white base as the standard, with red and black options available. A choice of white, blue, green, amber or red LEDs is available. In addition, it has high-intensity LED array that is incorporated on the horn. Plus it has a maximum output of 114dB. 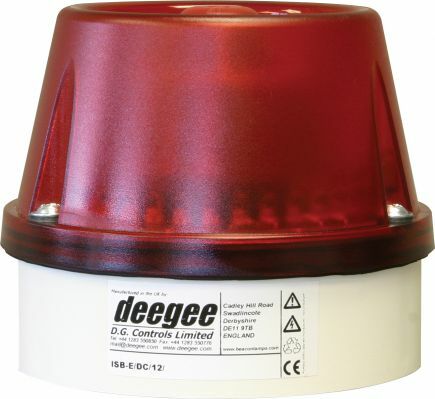 Even so, this beacon sounder combination is ideal for BESA box installing. Either way, the ISB-E series is also well-matched with on hand wall-installing brackets as well as cage guards. As a matter of fact, this beacon comes with a two-wire connection that has third-wire and fourth-wire for an alternating tone section. Similar to ISB-E series, this beacon sounder combination also comes with 64 tone combinations, but it is an IP66 rated warning device. It has a maximum output of 112dB(A) and a high-intensity LED array that is included into the horn. Actually, the clear horn has white, blue, green, amber, or red LEDs. Furthermore, it has a customary white ABS base that has a clear transparent horn. The ISB-C series features an internal volume control and two-wire connection that has third-wire intended for an alternating tone selection. Either way, it is also ideal for BESA box installing. 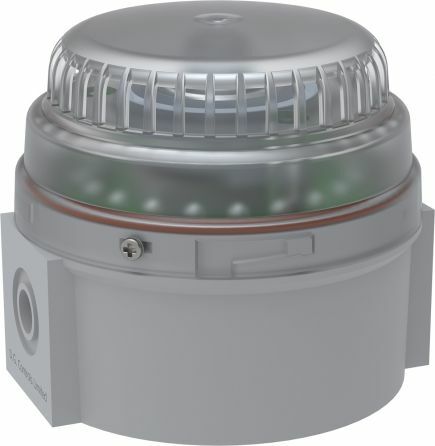 The XFC + IAS-C Series is a combi-AV Sounder Beacon that comes with a 144dB multi-tone sounder with combined xenon strobe that is 85mm high and a base of 94mm by 188mm. 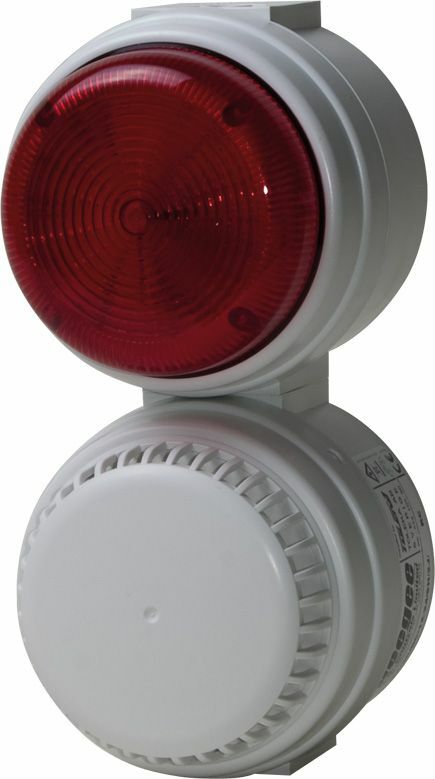 This beacon sounder combination features a total of 64 tone combinations and an internal volume control. 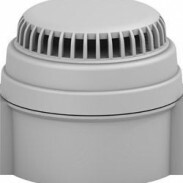 Similar to ISB-C Series, this warning device has a two-wire connection with third-wire that is specifically designed for an interchange tone selection. This device, on the other hand, is available in 230Vac, 12V-24Vdc, and 115Vac models. Also, it is accessible with red (option) or white (standard) base as well as horn mouldings. 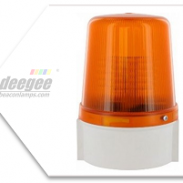 Another beacon sounder combination, that features 144 decibels multi-tone sounder with incorporated pulsed LED beacon that is 85mm high and 94mm by 188mm base. The PSC + IAS-C range is IP65 rated and has 64 tone combinations. Similar to the other beacons sounder combinations in this list, it has an internal volume control. It comes with both white horn and base however, there is also a red horn and base available option. Either way, the PSC + IAS-C range is accessible in 115-230Vuc and 24Vdc models with two-wire connection and a third-wire for alternate tone variety. If you are looking at installing a warning device in your business premises or other buildings, then beacon sounder combinations are worth considering.